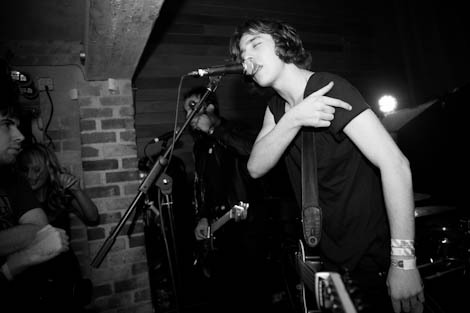 Catfish & The Bottlemen blow the fuse at Korova, Getintothis’ Harry Sherriff witnesses something close to electric. 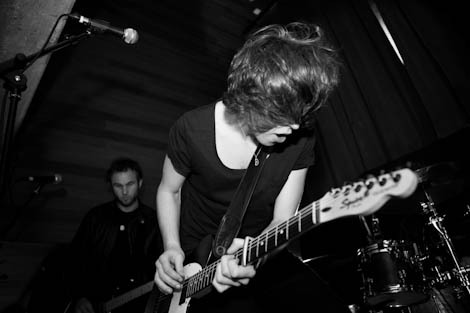 In the last 18 months Catfish & The Bottlemen have achieved a hell of a lot. They’ve supported Glasvegas, played Leeds and Reading Festivals and signed with Communion Records; a label front man Van McCann proudly states is the best in the world. The perpetual touring has clearly paid off for the rock and rollers hailing from North Wales. What appears to be a diehard fan base show up to Korova and sing half the set back towards the band. Due to a technical hitch their latest single Rango needed a quick restart before Van’s crystal clear vocals could be heard. His vocals are so clear in fact you’d be forgiven for thinking there was another setting on the mic they’d left off for the support acts. Rango along with staples Pacifier, Sidewinder and Homesick turn the place riotous. Beer drenched and loving it, the Korova crowd are then treated to some new tunes by a band that claims to have three albums worth of material ready to go. Massapequa, Kathleen and Alabaster are not as instant as the singles but sound ambitious and, most importantly for a new band preparing to record their debut album, different. Later on in the set the electricity was literally blown but even that couldn’t deter all involved. It simply allowed them a good breather before getting ready to go again. Afterwards Catfish, as they always do, hung around the merch stand to greet fans and thank them for showing up, a laid back routine that sets them apart. An album is expected sometime next year and if proceedings aren’t rushed all indicators suggest it’s going to be memorable. 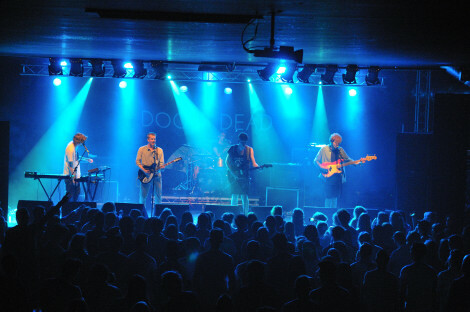 Expect more impressive support slots along with a nudge in the right direction from the BBC Introducing lot. It’s just a case of spreading the word and with Catfish & The Bottlemen, word is spreading fast.